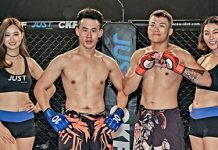 Training out of Korea’s famous Team MAD, Lee Dong started to train in BJJ and MMA in an young age and has been training for over 10 years. Initially started to train due to personal experience of bullying and want to train in order to protect himself and the public, Lee turned pro in 2016 and has steadily competing since. Going against him will be Russian Aleksei Podkolzin. 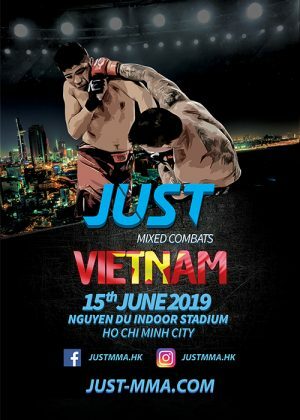 Experienced in boxing and hand-to-hand combat, Aleksei owns multiple wins in MMA, Boxing and kickboxing, and this time he wants to prove he is a prominent force in JUST MMA. Doors open at 6:00pm, the charity bouts and undercard begins at 6:45pm, and the main card starts at 9pm. 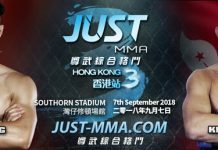 Stay tuned for more info, and follow us at: https://www.facebook.com/JUSTMMA.hk/! **Limited wheelchair seat tickets available upon reservation, please email info@just-mma.com for more information.